Just in time for the… err… third episode of its second season, the PlayStation Original series Powers has finally become available to stream for Australian PlayStation Plus members at no extra cost. The show, which is based on the hit comic book series of the same name by writer Brian Michael Bendis and artist Michael Avon Oeming, sees a world in which humans and superheroes co-exist, and stars Sharlto Copley (District 9) as a homicide detective that's had his powers taken away from him. 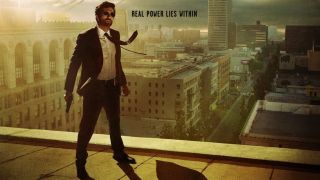 Though it's only just become available to Australians as of today, Powers has been available to U.S. PlayStation Plus subscribers since March last year. You can watch the official teaser trailer for the series below.